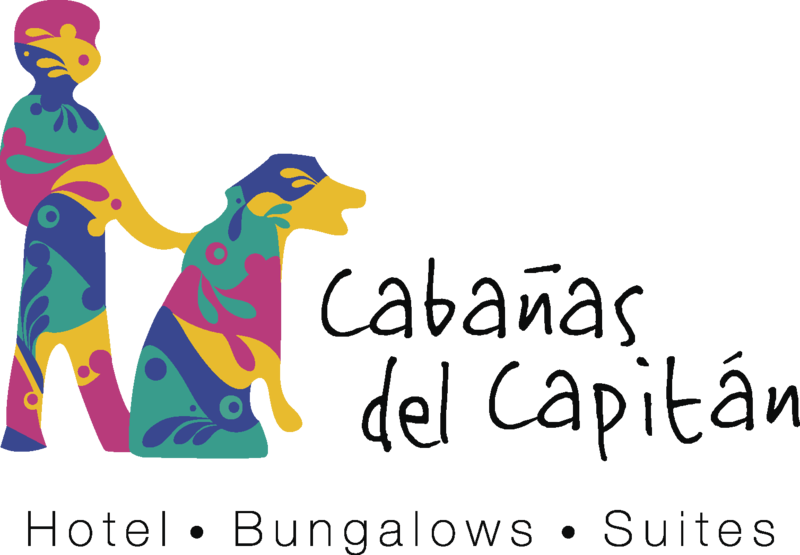 Las cabañas del Capitán is a hotel in Rincón de Guayabitos, Nayarit, México, located on the beach of a tranquil bay, warm sand and bright sun with spectacular sunsets, all in a natural setting. This hotel offers gardens, a swimming pool and wading pool, tables, chairs and lounge chairs on the beach and around the pool, shady areas under the thatched roof "palapas", parking, drinking water and personal service. The suites are comfortable and spacious, with a fully equipped kitchen on the terrace, and air conditioning in the bedrooms. TV is included in the service with some English speaking channels. Telephones, internet access and fax machines are all available in Rincón de Guayabitos WIFI is available for free in the hotel.